Motorcycle Ride: Canada Ride! Thursday, 3/29! I am posting this for a new member, phroa, as he has not been successful getting his post approved. His name is Jack. He is new to this forum, and a nice guy. Planning a ride around Pt. Roberts/Vancouver area this Thursday, as long as it is not pouring down rain. Highlights are Pt. Roberts, Iona Park, Stanley Park, Marine Drive, and Cypress Bowl. Meetup is at 8 am at the Starbucks next to REI in Bellingham. Stands up at 8:30. Don't forget your passports or enhanced licenses! 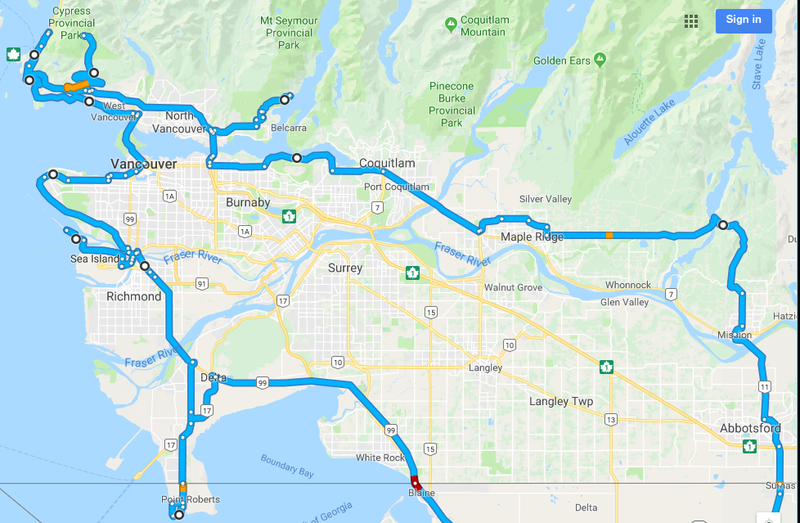 If you live in Ferndale or Blaine, we can make arrangements to connect north of Bellingham on the way to the Blaine border crossing. This will be a more of a relaxed-paced ride. This was a fun, but very wet ride, lol! Thanks Jack! I'm thinking of duplicating this ride, but starting and ending farther south. Any advice?